Don’t let your technology take charge! 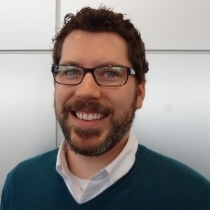 We are proud to introduce Beau Brannon, Gary Force Acura’s Technology Specialist. Beau is here to answer your technology questions, and more! With the advent of more technology in luxury cars, clients often have questions about their navigation systems, establishing a Bluetooth connection for their phones or managing infotainment systems. While we’re happy to answer phone calls, we think it is more beneficial to provide complimentary “hands-on” education. Beau will be happy to help you with navigation, Bluetooth, Homelink and really any question you have about how to operate your car. Need to reconnect your iPhone? See Beau. Do you need a brush-up on your navigation skills? Swing on by and see Beau – he is happy to help our Gary Force Acura owners! Please submit your questions or check appointment availability by letting me know when you would like to come in. I am available M-F 9-5pm and the last 2 Saturdays of the month. I will do my best to accommodate your needs. Away from the area or don’t have time to come in? Let Beau help you with your technology needs remotely! Just click on the “self-help” video library below, to brush up on your technology skills. And don’t worry, as you are learning, we are busy filming more instructional videos that will address how to set-up Homelink and answer the most common Navigation questions so that you can take full advantage of all on-board technologies!